This figure has a calm and serene face. The head of the sculpture is beautifully decorated and the body is well adorned with ornaments. Two Goddesses are depicted on both sides and other flying figures and animals can also be seen. 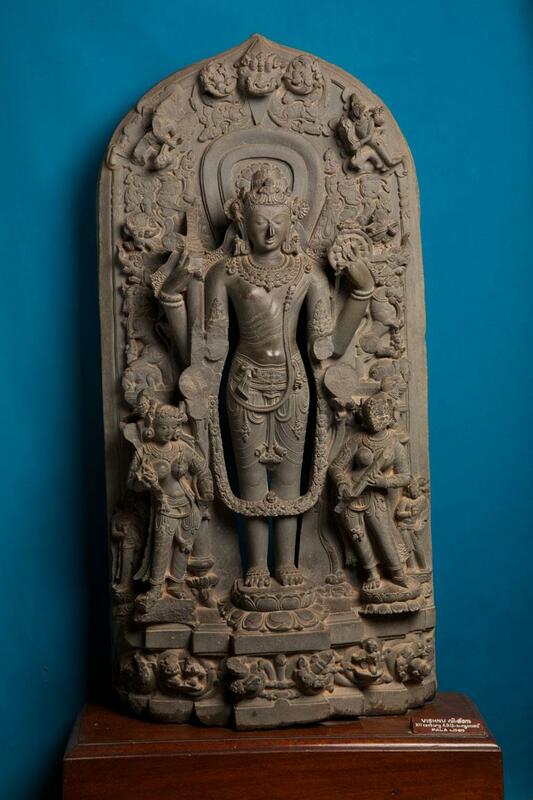 This is a four handed standing Vishnu with Sreedevi and Bhoodevi at the base.